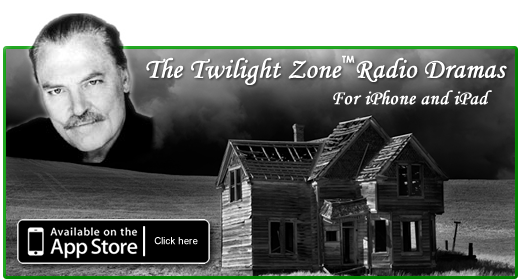 I have always loved the TWILIGHT ZONE. TWILIGHT ZONE was known for reality bending plots that relied on twists and suspense. The true treat in watching old episodes lies in the convincing performance of the actors. One of my favorites IN HIS IMAGE stands out not because of the main character, the android Alan Talbot, but his girlfriend Jessica, played by the excellent character actress, Gail Kobe. Proof that you don’t have to have special effects or an extravagant budget to create quality speculative entertainment. Being able to have well drawn characters and reflect the human condition is what makes it work and this is why the TWILIGHT ZONE remains so popular. The audio dramas include many of the old episodes, hosted by Stacy Keach, with fresh adaptations of classic scripts by Dennis Etchison. Each purchase of the app (free) comes with three free episodes. Individual episodes may be purchased individually or as a set. Brigitte and Shawn are the fun hosts of THE RUSTED ROBOT podcast. They describe themselves as lovers of ‘the world of geek.’ Brigitte loves gaming. Shawn specializes in action figure collecting. On THE RUSTED ROBOT they have hosted interviews with SF writer ROBERT J. SAWYER and comic book artist and author SINA GRACE as well as a healthy dose of geeky talk. And collectible discussion! What more is there to say? Neil DeGrasse Tyson hosts the most awesome radio show on science ever. This is a must listen in my household, part of my far reaching plot, er, plan for my daughter to be an astronaut. (Hey, some mother’s mold their daughters to be beauty queens; can I be faulted for molding her to be a scientist?) He cohosts the show with celebrities, comedians, and various special guests. I am personally found of the Cosmic Queries shows in which Dr. Tyson answers various and sundry science related topics. Love your podcast! Keep up the good work.